These 1-2'' Sea sponges are an essential element of any hermit crab habitat - without sea sponges in their habitat, they will eventually drown while drinking water. They provide an ideal way for hermit crabs to properly drink and exit their water dishes. Sea sponges have natural minerals from the ocean that will help your hermit crab thrive. Over time, they will consume the sponges, which is highly beneficial for their exoskeletons. 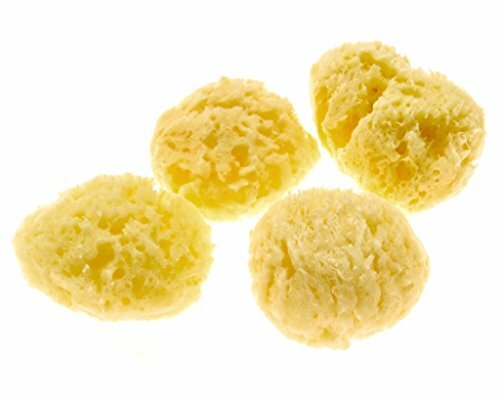 Our sea sponges are all natural and come directly from the ocean - no artificial additives or anything else that could harm your hermit crab. Directions: Place sponge in your crab's water dish (the sponge should take up most of the dish area). Swap out sponges regularly to prevent mold / bacteria build-up - simply place the sponge in the microwave for 10-15 seconds to properly clean. 4 per pack - each sponge is approximately 3 inches long x 1.75 inches wide x 1.25 inches tall. View More In Aquarium Décor. If you have any questions about this product by Evergreen Pet Supplies, contact us by completing and submitting the form below. If you are looking for a specif part number, please include it with your message.